Medicare is powerful and eye-catching HTML Template. 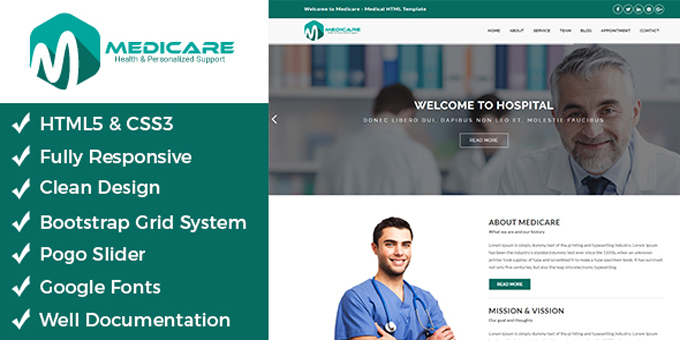 It is fully responsive, well structured and beautiful HTML template which is specifically designed for for hospital,psychology, clinic, doctor, dentist, surgeon, gynecologist, drugstores, health-care, pharmacies, medical labs and other medical related organizations. This template is very easy to customize.